Browse: Home / 2019 / March / 30 / Yunusov Defeated Colon at the SugarHouse Casino Friday! Marshall Kauffman’s King’s Promotions and Andrew Foy’s Titans Boxing Promotions co-promoted a ten bout card Friday night at the SugarHouse Casino in Philadelphia, PA, before a packed house. 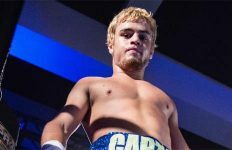 In the Main Event Super featherweight southpaw Anvar Yunusov, 7-0 (3), of TAJ and Philadelphia, defeated Carlos Colon, 5-2 (3), of Lares, PR, for the Silver USBF title (James Gibb, Rep) over 8 action packed rounds. In the first round the shorter Yunusov came in low landing good body shots. In the second round both unloaded on one another. Yunusov slipped punches well and countered well to the body. In the third round it was all Yunusov until backing up a right uppercut on the chin dropped him. Yunusov got up from the count of referee Shawn Clark at 8. He fought his way back into the fight. In the fourth round Colon throwing arms punches missed as much as he landed. Yunusov is the better puncher and dropped Colon with a vicious body attack. Colon was up at 8 and came fighting back. The fans really got into this one. In the fifth round a left hook body shot from Yunusov dropped Colon for an 8 count. Yunusov kept up the body attack but there was no quit in Colon. In the sixth round Yunusov drove Colon back several steps with an overhand left to the head. In the seventh round Yunusov had Colon on the defense the entire round. In the eighth and final round Yunusov continued to to used the jab following up with good body shots. Colon caught Yunusov backing up with a wild right on the chin. Yunusove got a warning from referee Shawn Clark for hitting from behind Colon. Both fighters were throwing punches as the round and the fight came to an end. The fans quite enjoyed this one. Scores were Frisca 79-71 and Kinny and Weisfeld 78-71 as did this writer score it. Super Lightweight Anthony Mercado, 13-4 (10) of Arecibo, PR, stopped Andres “Pajita” Navarro, 11-7-1 (7), of Toa Baja, PR, at the end of the fifth round of a scheduled 8. In the first round the taller Mercado presses the action with hard body shots while Navarro countered with left hooks. The entire round went that way. In the second round Mercado landed a flurry of punches while having Navarro against the ropes. Navarro with hands held high not using the jab much but depending on a good left hook. In the third round Mercado fought mostly out of a crouch going to the body with Navarro covering up Mercado with straighten up with chopping rights to the head. Navarro landed the left hooks but was out punched. In the fifth round Mercado rocked Navarro with a right cross to the chin. The action slowed down the last two rounds as Navarro looked exhausted. The corner of Navarro wisely didn’t allow their fighter to come out for the sixth round. Clark was the referee. 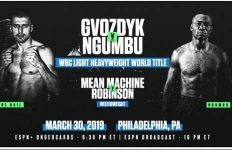 Super Middleweight Brandon “Silver Back” Robinson, 12-2 (9), of Upper Darby, PA, knocked out southpaw “Bad” Lawrence Blakey, 5-13-2 (2) of Pittsburgh, PA, at 2:49 of the first round. In the first round the smaller Blakey ran around the ring not landing a punch. As he moved away from Robinson he was hit with a vicious left hook to the liver putting him on his knees for several minutes after receiving the count by referee Rosato. 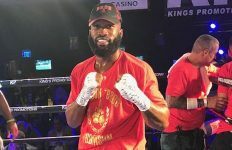 In the co-feature Super Welterweight southpaw Erik Spring, 12-2-2 (1), of Reading, PA, won a majorith decision over southpaw Terrance Williams, 5-3-1 (1), of Harrisburg, PA, over 8 rounds. In the first two rounds both southpaws using jabs until Spring landed a right hook to the chin. Spring forced what little action there was. In the third round Spring went to the body with combinations. Williams would counter with right hooks. In the fourth round Spring would get off first with Williams only countering with right hooks. In the fifth round Spring knockout the mouthpiece of Williams with a right hook on the chin. Williams came back with a double right hook to the body. 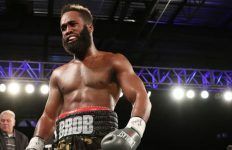 In the sixth round Spring continued to outwork Williams until one went low and got a warning from referee Gary Rosato. Spring got caught with a solid straight left to the chin just prior to the bell. In the seventh round both fighters were ripping with body shots. In the eighth and final round both fighters were throwing bombs with the fight on the line. Williams seemed to have a slight edge in the round but too little too late. Scores were Weisfeld 77-75, Frisca 76-76 and Worlinsky 77-75 as did this writer have it. Heavyweight Juan Goode, 8-9 (6), of Taylor, MI, was knocked out by Michael Polite Coffie, 6-0 (5), of Brooklyn, NY, at 1:10 of the second round. In the first round Coffie was pressing the fight but his accuracy is not on the target for the most part. Goode on several occasions countered with rights to the chin. Coffie landed several jabs. In the second round Coffie landed a vicious left hook on the chin and down went Goode partially thru the ropes. Heavyweight southpaw Emilio Salas, 5-3-1 (3), of Yonkers, NY, was knocked out by Colby “King” Madison, 8-0-2 (5), of Baltimore, MD, at 0:23 of the second round of a scheduled 6. In the first round both fighters had their moment. Madison was the harder puncher. In the second round Madison ended it with a combination to the chin dropping Salas with a thud. Referee Rosato wisely halted it without a count. Middleweight LaQuan “Q” Evans, 1-0 (0), of West Philadelphia, won a spirited split decision over Jordan Demko, 0-1 (0), of Reading, PA, over 4 rounds. In the first round Demko came out firing dropping Evans with a combination on the chin. Evans got up and took it to Demko rocking him with uppercuts. In the second round the taller Evans kept a jab in the face of Demko who was coming forward. Demko drove Evans against the ropes with a right on the chin. In the third round both fighters exchanged hard rights to the chin. Evans used his jab but Demko got past it several times with rights to the chin. It was a close round. In the fourth and final round Evans landed a right to the chin but got countered with a right. The fans got into it. Demko seemed to have hurt his right shoulder just using a left hook. Evans took advantage of this outlanding Demko. Scores were Rubenstein 39-37 Demko, ? 39-37 Evans and Worlinsky 39-38 for Evans. This writer had it 39-37 Evans. Franciosi was the referee. Middleweight Ryan Humberger, 1-0 (1), of Chestnut Hill section of Philadelphia, stopped Brent Oren, 0-1 (0), of Harrisburg, PA, at the end of the third round in an action packed fight. In the first round Humberger was on the attack. Oren in the final minute rocked Humberger on several occasions with straight lefts to the chin. The fans really got into it mostly for Humberger. In the second round Humberger came out like a tiger landing to the body and head. Oren came back halfway thru the round driving Humberger into the ropes with lead left’s to the chin. Both southpaws exchanged left’s to the chin. The round was full of action. In the third round Oren keeping it at a distance uses and effective jab. Humberger gets inside and lands well to the body backing Oren against the ropes. Hunsberger rocked Oren in the final seconds with a combination to the chin. In between rounds an exhausted Oren failed to come out for the final round. Welterweight southpaw Mark Dawson, 6-0-1 (3), of West Philadelphia, easily defeated Jordan Morales, 3-6 (2), of Sunbury, PA, over 6 rounds. In the first round southpaw and the taller Dawson as boxing well. Morales got in a lead right to the chin. In the second round Dawson landed a right hook followed by a left on the chin of Morales whose glove touched the canvas ruling a knockdown by referee Clark. Dawson landed a hard left to the chin making Morales come right back at him. Dawson ended the round with a left to the chin. In the third round the action slowed down with Dawson boxing well and Morales the smaller of the two hangs tough. In the fourth round Dawson boxed well until a Morales right caught him on the side of the neck. In the sixth and final round Oquendo started things off with a lead right to the chin. Dawson kept Oquendo from getting off much after that in a close round. Scores were Rubenstein 59-54, while Kinney and ? 60-53, this writer had it 59-54. In the opening bout Javier Oquendo, 3-1-1 (1), Philadelphia, and Weusi Johnson, 3-10-1 (0), of Wilmington, DE, fought to a draw over 4 rounds. In the first round it was very competitive with Johnson going to the body with right hands. Oquendo mostly using his jab but pressing the action. In the second round Oquendo landed a good left hook to the body. Miday thru the round Johnson landed a right uppercut to the chin. Johnson seems to have edged out the first two rounds. In the third round Oquendo seemed to get thru the defense of Jonson with right hands. He backed Johnson into his own corner with a flurry of punches. Johnson seemed to slow down. In the fourth and final round Johnson landed a right uppercut followed with a left hook both to the chin. 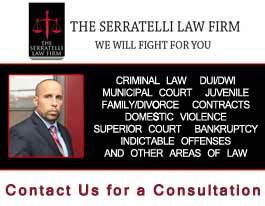 Oquendo kept up the pressure. Johnson warned by referee Franciosi about hitting on the break. Oquendo turned southpaw on several occasions. Oquendon seemed to pull out the last two rounds. 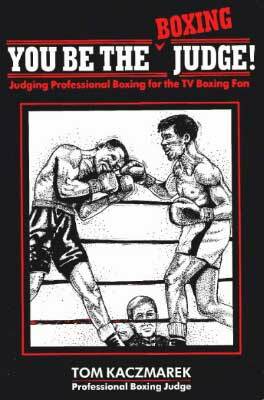 Scores were Worlinsky 40-36 Oquendo, Rubenstein 39-37 Johnson and Weisfeld 38-38 as did this writer have it.